We've enjoyed a decade long relationship with FreshBooks and are very proud of our association with them. In this time we have build programs, events, build communities and executed a lot of marketing stunts. Below are a few recent things we've done. At the 2017 Collision Conf our goal was to make an impression that cut through the noise while at the same time bring a little bit of New Orleans into the convention centre for all the attendees that couldn't leave their booths etc. This is what we came up with. 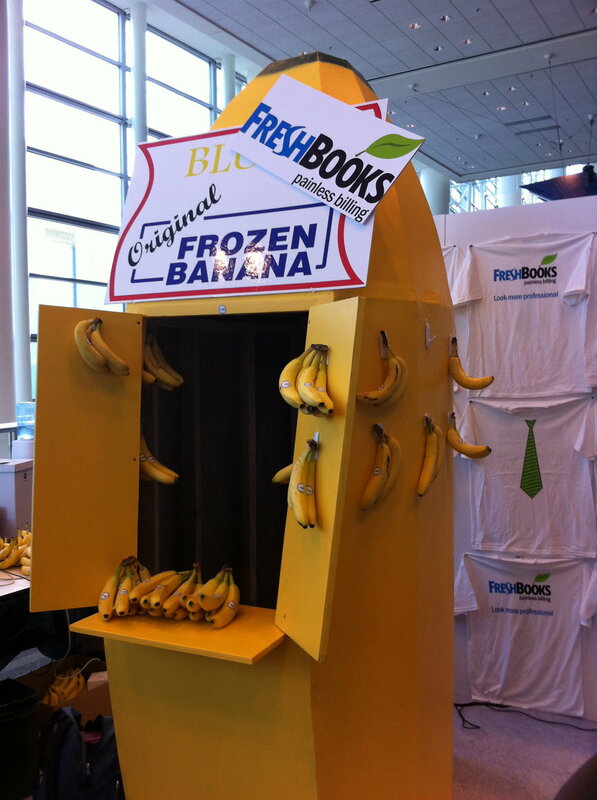 Instead of investing in a very expensive trade show booth for a financial services conference we deigned a replica of the “Arrested Development” Bluth Banana Stand and gave out over 2000 bananas with a unique url sticker sending people to a landing page to learn more about FreshBooks.